Hey guys well it is nooooo surprise that I have been careless and lost a picture on FB. Well now its time to spill the beans!! Take a look at these beauties! You guys have been asking so we are not only giving you one but four brand new Haven Horses! We have not retired any other of the Haven horses but had decided to add these to your choices. One Haven Horse Rising Phoenix will cost 250,000 haven points. 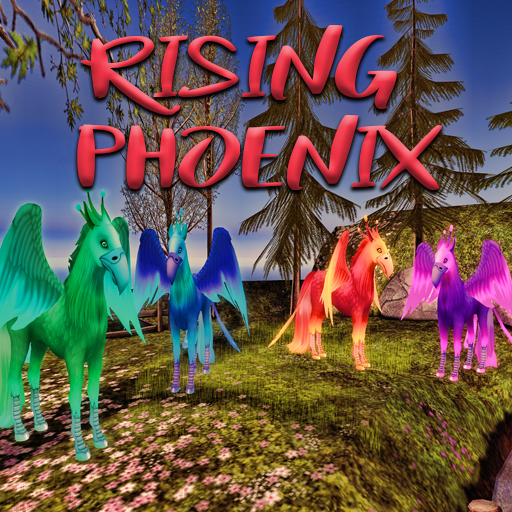 The Haven Horse Rising Phoenix Bundle will birth one Haven Horse Rising Phoenix random coat and gender. These Rising Phoenix will not have the ability to pass their coats, however they will have the ability to pass their wing and their eyes! The new Haven Horse Rising Phoenix will have the ability to give you all those awesome new traits for example saddle cyan and copper horn just like a new starter from the store would. Don’t forget when you breed a Horse Haven Horse (whether it is with another Horse Haven Horse or any other horse) you DO have an increased chance at receiving a random Charmed Horse. I love these horses and i think you guys will enjoy them too! So go pick up your Haven Horse Rising Phoenix and see what color you get!!! This is Ava over and out Happy Breeding everyone!! !